Hayabusa are a popular brand, with strong ties to MMA, but also branching out to various individual martial arts as well. They strive for high performance, and many of their products feature bold, unique designs. 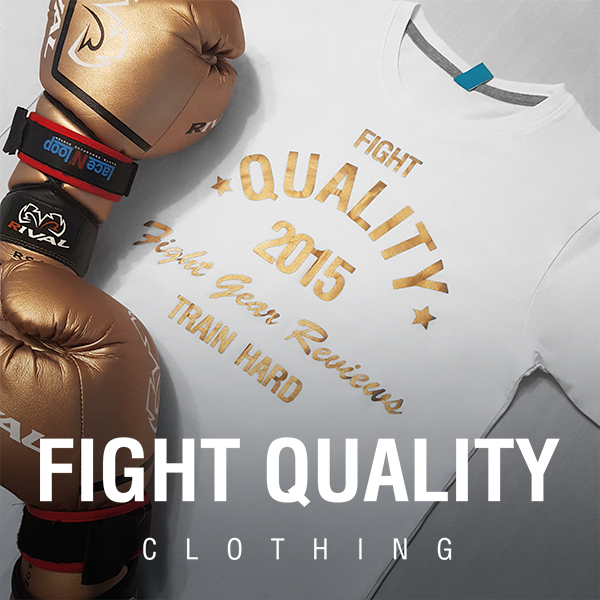 They are currently working alongside Glory Kickboxing as the official equipment suppliers. The T3 Series, as well as sounding cool actually represents the fact that the series is the third evolution of Hayabusa’s popular Tokushu range. If you haven’t heard of Hayabusa’s Tokushu gear before, it’s one of their main lines of equipment, alongside the Ikusa range. We’ve actually previously reviewed the Hayabusa Ikusa Charged Shin Guards which felt like they were designed mostly for MMA, while the T3 range is much more optimised for striking. Hayabusa sent over a pair of these shin guards for us to test out and provide feedback on. Make sure to also check out our Hayabusa T3 Boxing Glove Review. Just like the T3 Boxing gloves we’ve already reviewed, the these shin guards have a pretty unique appearance. Unlike most shin guards which are usually covered with just a single piece of leather on the front of the shin guard, these use a number of different panels – creating an angular, segmented appearance. For the most part the shins are covered with black leather, but the two panels across the front feature a coloured leather section and also a section with a carbon-fibre styled appearance. On the gloves, these panels are representative of the splints across the back of the hand, however on these shin guards it’s more for decoration. That said, Hayabusa have really nailed the stylistic consistency between the different equipment in the T3 range. The main range currently features three colour options; red, blue or grey. I’ve been using the red version, and had a number of positive comments about the equipment (including one that they have a bit of a ‘Deadpool’ vibe going on). Depending what colour you choose will change the coloured panel on the front, the stitching colour and the colour of the lining. While most brands offer a choice of outer colours, it’s refreshing to see a brand add colour to the lesser seen details such as the stitching and inner lining, which are often just black. Update: Hayabusa have since added some new colours to the range, including Green and Purple. If these colour choices aren’t enough for you, they’re also available in an (almost) all-white version which looks great, and even the T3 Kanpeki Shin guards, which use the T3 model as a base, but with a vintage brown, full grain leather covering. Below you can find our Fight Gear Focus video giving you a close-up, visual look at these shin guards. Make sure you check out the rest of the video series and Subscribe to our YouTube channel so you don’t miss any of our future videos. The main material covering the front of the shinguards is what Hayabusa call ‘Vylar‘ engineered leather. Vylar isn’t real leather, but rather an animal-free material they’ve created which the brand claims performed much better than real leather in their testing. With boxing gloves, many people are fussy about having real leather, although on shin guards this is slightly less important, and there are a number of top brands who actually choose synthetic leather over real leather for their shin guards. On shin guards, you’re really looking for the most durable material possible. That said, we mentioned in our T3 Glove review that Vylar is definitely one of the more realistic feeling synthetic leathers we’ve tested. On the inner side of the shin guards, the fabric is lined with small silicon grip dots. We’ll get back to those in a moment though. The material itself is the same as seen on the T3 gloves. The material isn’t particularly soft or smooth, but at the same time has a fairly natural feel. Apparently the fabric itself is made with traces of silver – known for it’s antibacterial properties – which is designed to keep these fresh for as long as possible. After using the shin guards, they do seem to retain a noticeable amount of moisture and take a while to dry out, so you’ll want to make sure you’re airing them out properly. Perhaps this is only more noticeable because the ones I’ve been using have a brighter colour, but it’s worth mentioning anyway. With the T3 range, Hayabusa have returned to a slightly more traditional design, with just the two straps at the back and two elasticated straps around the heel/foot. The shin padding is fairly wide and using the straps you can get a nice tight fit with the padding curving around the leg. I’ve personally found it really easy to get a nice close fit. You can get the velcro straps up pretty tight even if, like me, you have skinny legs. The straps on the back do feel quite long though, so I’ve found there’s often a little bit of an overhang. One thing I love about how these have been put together is that the top of the shin guard is angled so that the padding protects the size of the knee. This means you get some pretty good knee protection without it sticking out or digging into the front of the knee. When the shin guards are done up tightly, this raised padding sticks to the side of the knee quite nicely. Overall the craftwork of these looks pretty good. Some of the leather was a little bit loose around the raised sections, but other than a few wrinkles it doesn’t make much of a difference. The stitching all looks great, especially considering they’ve stitched a number of panels in place. They’ve also added a number of other small features, such as the small neoprene tabs on the sides of the foot which help keep the foot positioned well and the neoprene surrounding the strap loops, which stop the strap from punching against the skin. I mentioned briefly that Hayabusa have included a load of small silicon dots on the inner side of these (as seen in the photo above) in an effort to stop the shin guards slipping. If I’m being honest, I’m not sure how well these have worked for me. For the first few minutes after putting the shin guards on I can usually feel the dots against my leg, which is a bit of a weird feeling if you aren’t used to it. As soon as you get into training they’re perfectly fine though. My problem starts to come a little more into training though, once you’ve been sweating a bit. I found that the shin guards slowly start to lose the extra traction, and have had problems with these slipping a number of times. Other than the mild inconvenience of having to adjust occasionally, I’ve really been enjoying these shin guards. The protection is solid across all areas, but at the same time avoids being excessively bulky. The raised panels at the front help add plenty of padding at the front, while the sides have just enough to keep your leg intact. There’s also good protection in other areas too, for example the instep and the knee. In fact, I’m a pretty big fan of the knee protection. As well as a little more support when kicking, it’s also perfectly positioned to stop knocks when checking a kick. At £95 in the UK, or $99.99 in the US, which is a little on the pricey side. While top level boxing gloves can easily triple these numbers, for shin guards this is pretty much the top end of the market. That said, there are a few features on these shin guards which other top level shin guards simply don’t have, so it’s more or less up to you whether the features are worth paying that little bit more for. If you’re on a tight budget or not training regularly then you might prefer something a little more basic, however for people who are serious about their training, we think the extra benefits are well worth it.